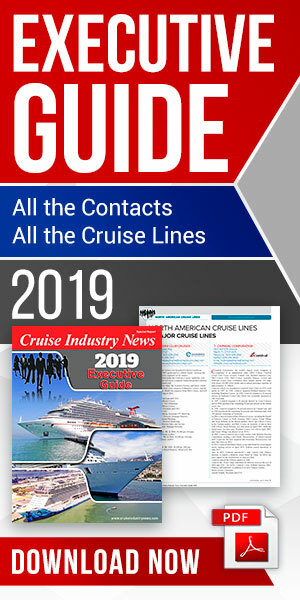 “We have been very busy with some big projects,” said Manolo Cavaliere, commercial manager at Chantier Naval de Marseille and San Giorgio del Porto, discussing the large drydock the company opened in Marseille in late 2017, in the 2019 Drydocking and Refurbishment Report by Cruise Industry News. The new facility, referred to as Forme 10, can take the biggest cruise ships, and has quickly become a key player in the Mediterranean for refurbishment jobs. “Right now we are doing a scrubber installation onboard one cruise vessel, and we have another big project starting at the end of the month,” Cavaliere said in a November interview. Eight cruise ships were booked for 2019 drydockings at the time, and he was expecting more. “We are getting bookings at least a year out, and the tendency for the cruise market is to book way ahead of time,” he continued. For bigger projects, planning may start one to two years in advance, with the detailed plan starting six to eight months out, Cavaliere advised. “For a normal drydocking, the clients want to reduce the time the vessel is out of the water, 14 days or less,” he noted. “Time, quality and flexibility,” are the facility’s keys to success. "Prepare in advance and plan as much as possible,” said Cavaliere.